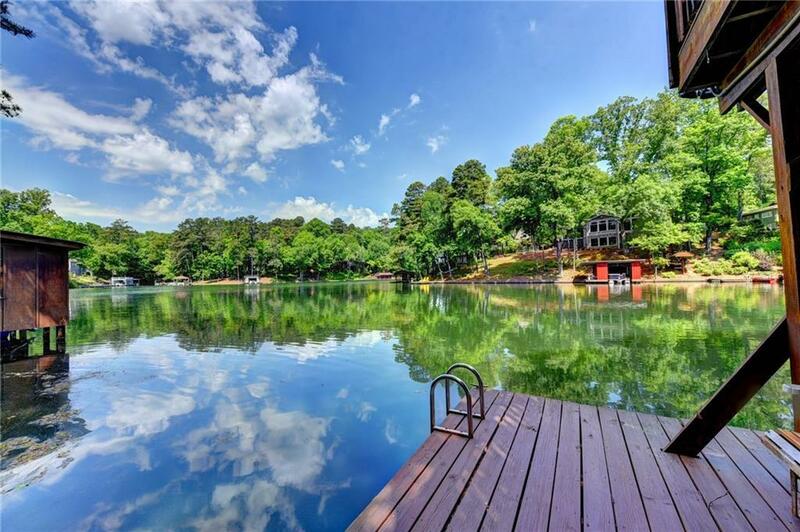 Here's your chance to be on lovely Berkeley Lake w/ awesome views! 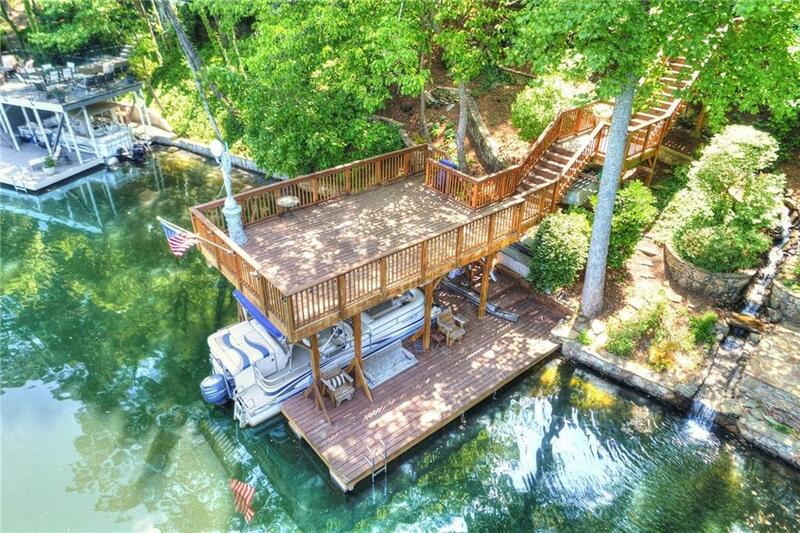 3 lvls of accessibility w/ elevator plus 2 stair lifts on deck/boat dock! 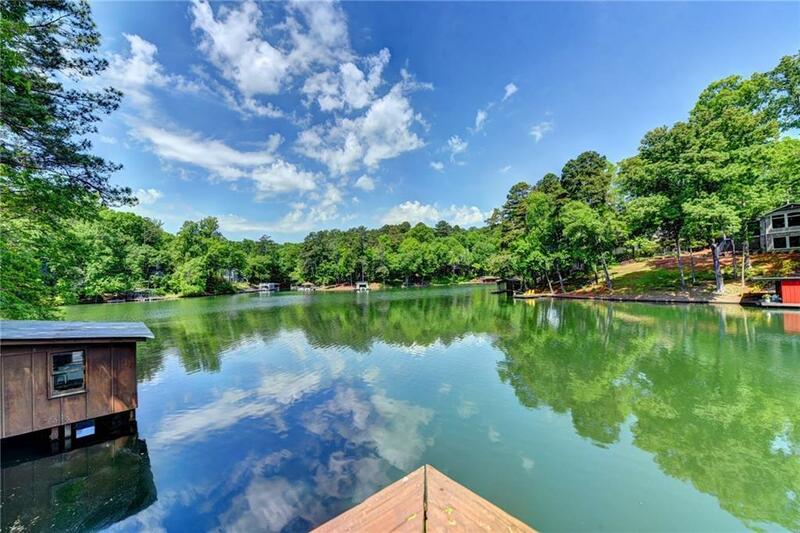 Master on main w/ TWO showers (one steam), whirlpool tub, walk-in closet & 1st of 15 pair of French drs to enjoy the great outdoors&lakefront. 3 other bdrms, 2 offices, total of 3.5 baths. Whole house is hardwood or tile-carpet only on stairs! 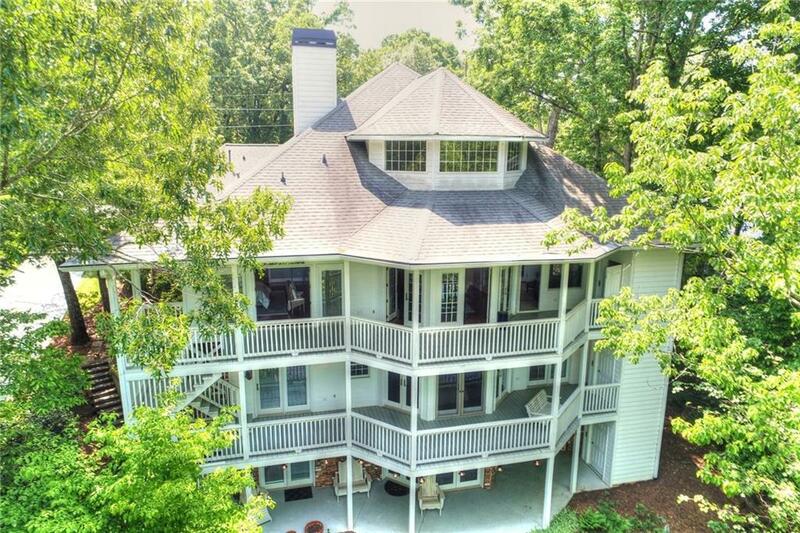 Original kitchen is used as butler's pantry, waterfall across entire rear spills into lake and is refed via pump frm lake, fire pit patio lakeside, entry courtyard. Gas & electric cooktops!